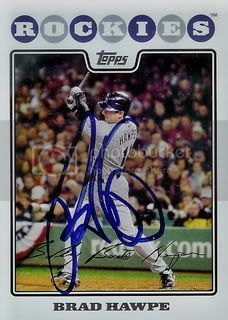 Former Colorado Rockies slugger, Brad Hawpe has a new home in San Diego with the Padres. The Padres will need his bat to regain the form it had a few years ago if they are going to win the NL West. I had never gotten Brad's autograph before so he was a welcome addition to one of my favorite teams to see during Spring Training.